I’m starting this intrepid exercise again. Having tried it once before (and failed… because, WINE.) I am going through this again. No, I don’t know why. Well, my jeans tell me precisely why. Perhaps it will be a good rebaselining for me, my jeans, and my innards? Having tried it before I know why I liked the program, why I hated it, and what I could do to make it bearable. Other than the missing of a glass of wine. So here are 10 items that will make your next Whole30 experience bearable, and successful. Step one, put down the wine glass. Learn to love them. By the end of these 30 days you will be the Bubba Gump of sweet potato recipes. 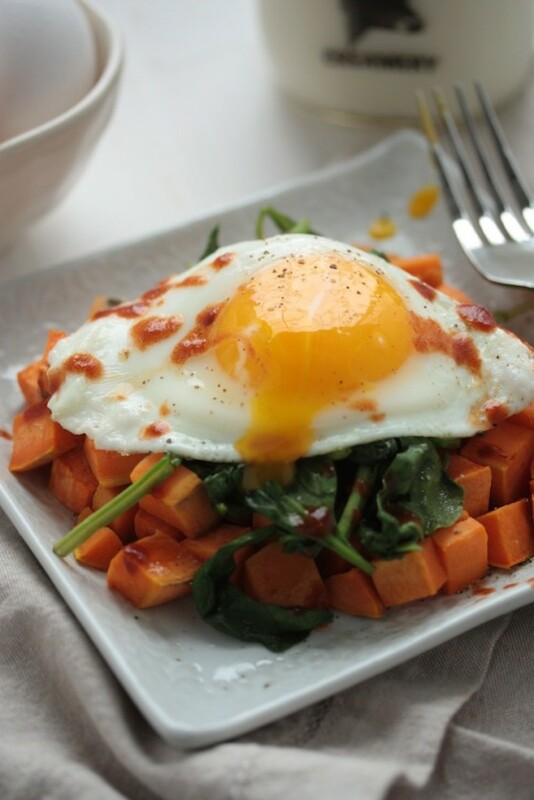 Get this Sweet Potato Breakfast Hash Recipe. Make it ahead of time, and serve it all week. The only thing you will have to do is crack an egg in the mornings. Fully cooked, and actually tastes like something. 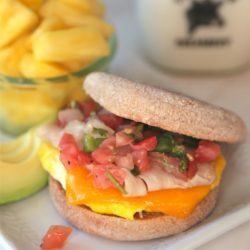 I chop these up and cook them ahead of time so that I can just reheat them with some zucchinis or spuds in the morning and top them with an egg for a quick five minute breakfast. Or even put them chopped up on a salad. 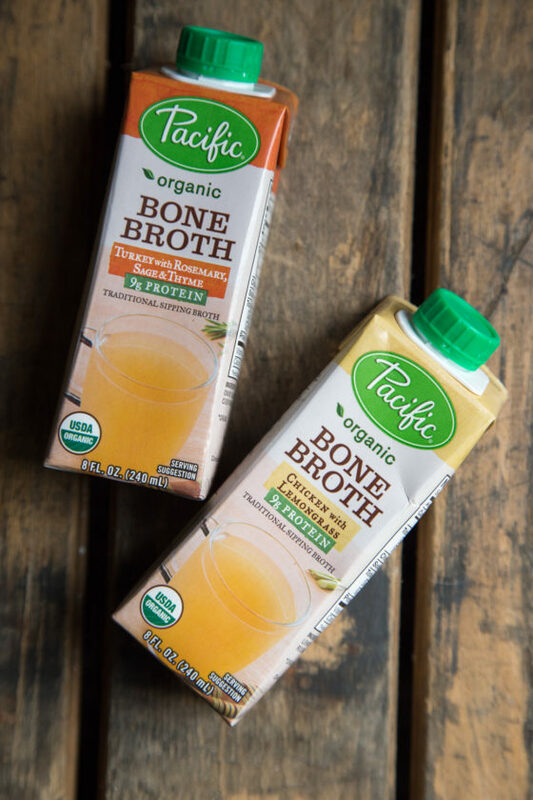 These Pacific Organic Bone Broth are super handy for on the go. Just pour into a mug and heat. If I don’t stay full, or get protein through the day, things take a turn for the worse in a hurry. The lemongrass and rosemary sage varities are awesome to kick some flavor into your day. And broth can be so boring. So these help a lot. 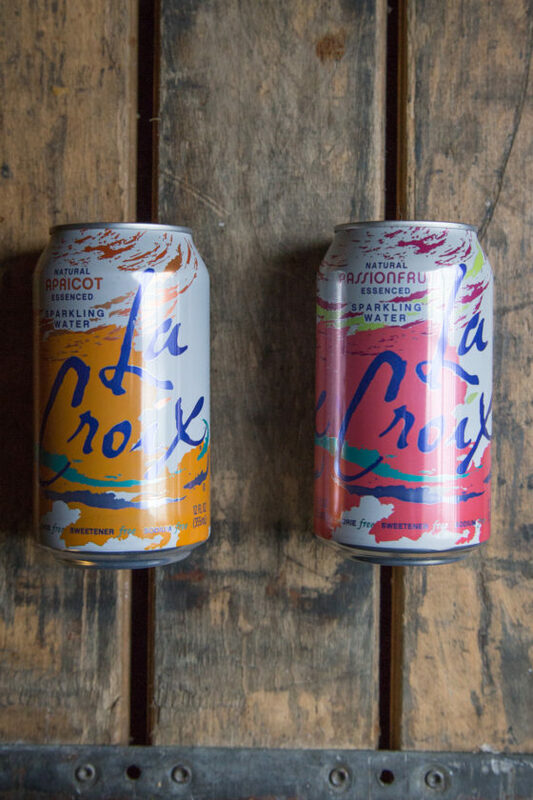 With fall coming up, I always love to sip on something hot, and these work perfectly. 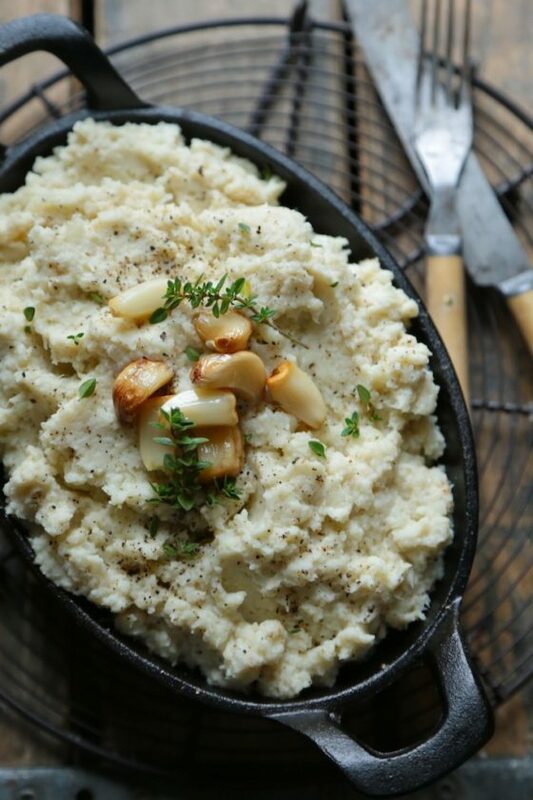 Sweet goodness almighty, if you are in a pinch this Roasted Garlic Whipped Cauliflower is a godsend. 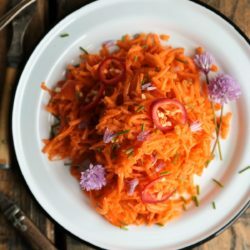 It’s from Simply Scratch‘s cookbook that is full of other healthy, from scratch recipes that will make cooking (Whole30 compliant or not) so much easier. One of the big tragedies of Whole30 is that Tabasco isn’t compliant. WTH? 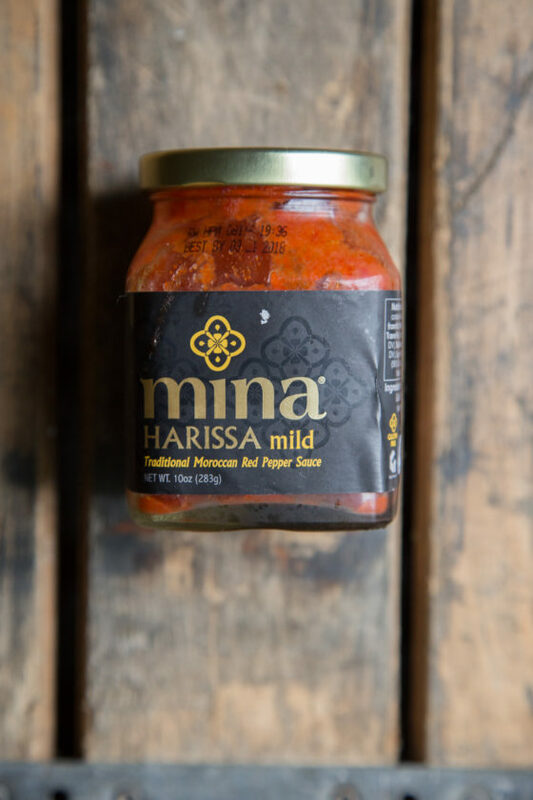 But thanks to Grier Mountain, she’s turned me on to the wonders of Mina Harissa and I’ve been using it on my breakfast sautes, and on roasted veggies. 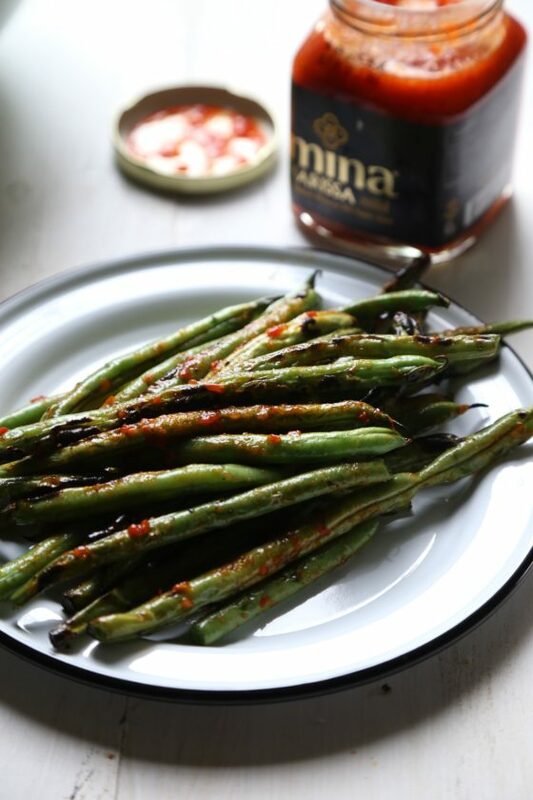 These Harissa Grilled Green Beans are magical with this red pepper sauce. I think Ben wishes this wasn’t the case, but this is my number one must have. At any given time there are three or four cases with different flavors sitting in my dining room. The coconut is wonderful made into a mocktail with ginger and lime muddled on ice. But the apricot and blackberry cucumber varieties top my list of favorites. Target has been the best place for me to find all the different varieties, but if you’re in a pinch Amazon FRESH will never let you down. And don’t forget the Peach Pear. Luckily enough there are actually condiments that can get you through the next 30 days. 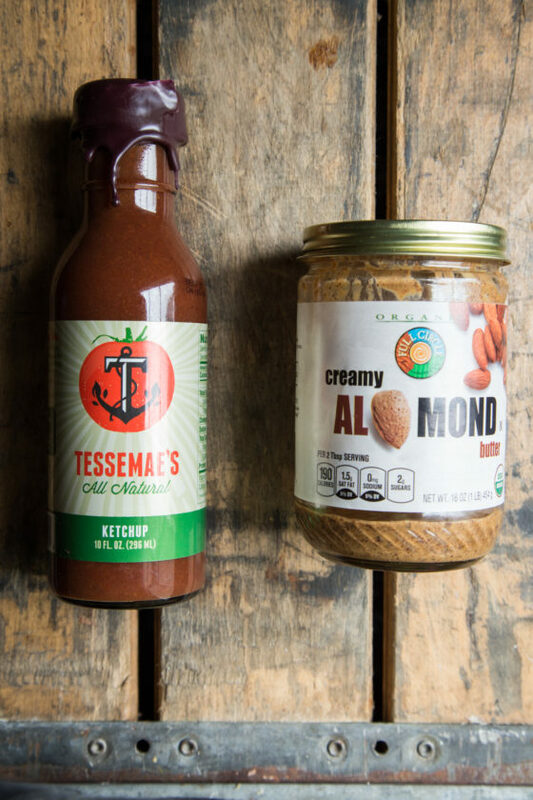 I have been a fan of Tessemae’s long before I dove into the Whole30 thing. 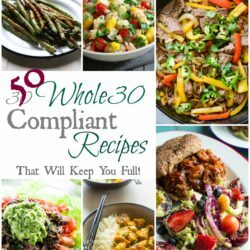 I’ve made a couple of recipes with them in the past, that although those aren’t W30 compliant, they are worth bookmarking for future reference. These Strawberry Honey Mustard BBQ Sauce is great for grilled chicken. 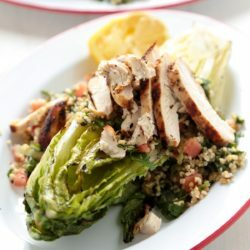 And these Baked Ranch Chicken Wraps will be perfect when you start your reintroduction phase. The kids will love them, too. Please, do not give up coffee. It’s not worth the angry caffeine deficiency and headaches that come with learning to drink coffee black. This stuff came into my store a few months ago, right about the time I gave Whole30 a try the first time around, and even though I didn’t make it through the 30 days the first time around (bad head space at that time), I still kept buying this stuff, because it’s so good! Getting used to unsweetened coffee is tough, it does take a while, but this made the process so much easier. And more sustainable. The hazelnut is my favorite. Get it on Amazon if you can’t find it in stores. While dried fruit, like dates, is allowed on Whole30 – they say use it with extreme caution. The whole point of the 30 days is to rebaseline yourself, and keeping the “sugar dragon” going is totally defeating the purpose. That’s why I have a love/hate with the Lara bars. It’s too easy to slip. Sahale snacks have been a big part of my snacking regime for a while, especially on road trips where the hanger can rage at a moment’s notice. 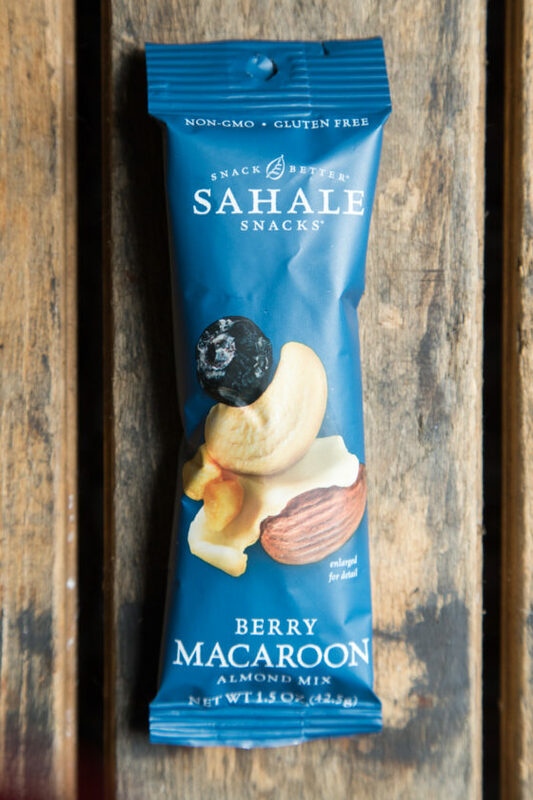 Sahale has several on-the-go pack varieties that are compliant, including this Berry Macaroon flavor. It’s a basic trail mix that just has itty bits of dried fruit and shredded unsweetened coconut to go with almonds and cashews. Check the labels, like on everything else, but this one is great for on-the-go snack panics. Learn to love this stuff. It goes on everything, in everything, and is good for you! Add it to olive oil, lemon juice and salt and pepper for a vinegarette! Or put it in your veggies. 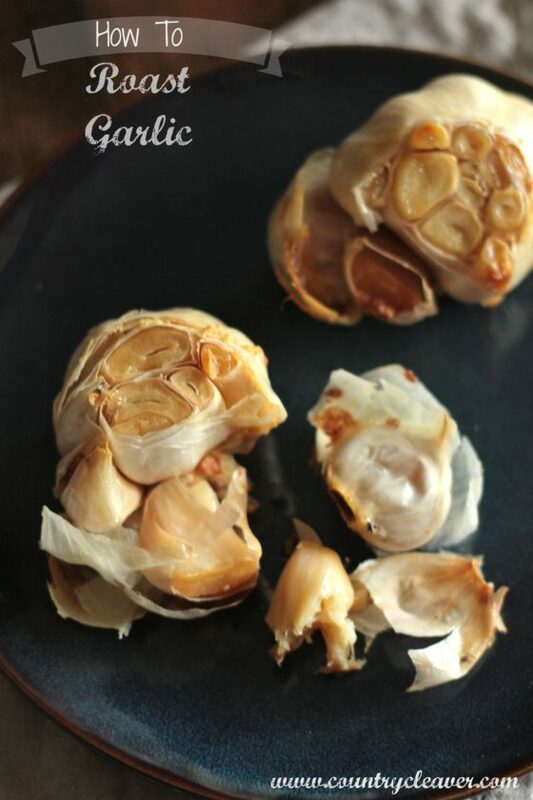 Make a lot and store it in the fridge. There you have it – 10 (fine, 11) things that will make Whole 30 bearable. I hope you guys have success with this. It’s my second time through, and this time around I’m in much more of a headspace to keep it up. It will be doable. Stick with it. And don’t forget the hardboiled eggs. Those are number 12 in the list. *wink*. I REALLY want to do the Whole30, but I REALLY don’t want to give up oatmeal haha. These are all SO good and I think would totally get me over my oatmeal fear! 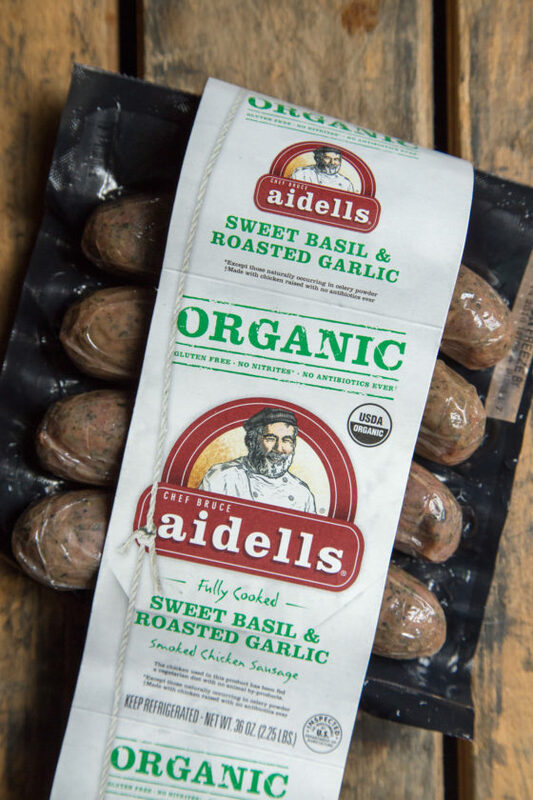 Great list and I love Sahale Snacks!! This article is a gem! 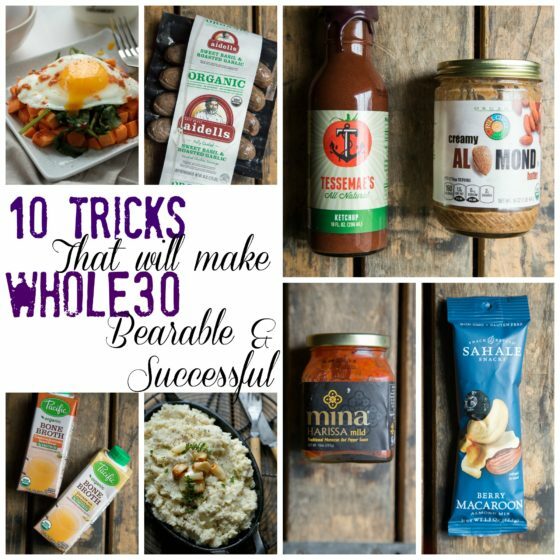 the whole30 is no joke and these are wonderful suggestions! Try the frittata, it totally rocks. 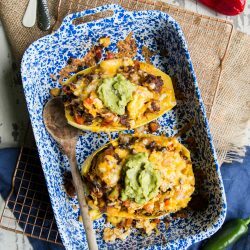 Add jalapenos, mushrooms, whatever! Ahahaha, “The Bubba Gump of sweet potato recipes”, so freakin’ true! Love this list, I’ve been contemplating doing another round, totally skipped the reintroduction phase last time which kind of defeated the point. 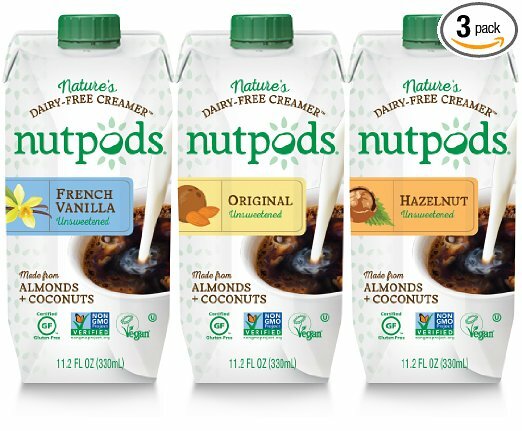 Still need to try Nutpods! Just trying Whole30 for the first time… coffee creamer/sweetener is what I miss the most. Thanks for all of these suggestions! 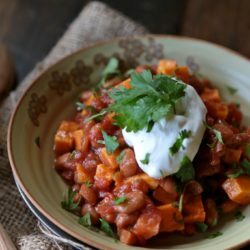 Have already adopted sweet potatoes into my everyday life, and I’m only on Day 12!